Search. Find. Explore | Why Biblical Counseling? Why Biblical Counseling? examines the biblical and theological foundation for biblical counseling and makes an urgent appeal for scriptural integrity in the Christian Counseling. The book exposes the limitations and dangers of humanism and psychological ideology and challenges believers to embrace the biblical mandate to restore the fallen (Gal 6:1-2) and evangelize the lost (Matt 28:19-20). W.P. “Ab” Abercrombie, Ph.D. has been in ministry as a Biblical Counselor for more than three decades. After his education in the social sciences, Dr. Abercrombie soon recognized the incompatibility of humanistic psychology and Scripture. Rejecting the secular methods of psychotherapy, he devoted himself to the sufficiency of God’s Word and the working of the Holy Spirit as the key elements of transformational change. 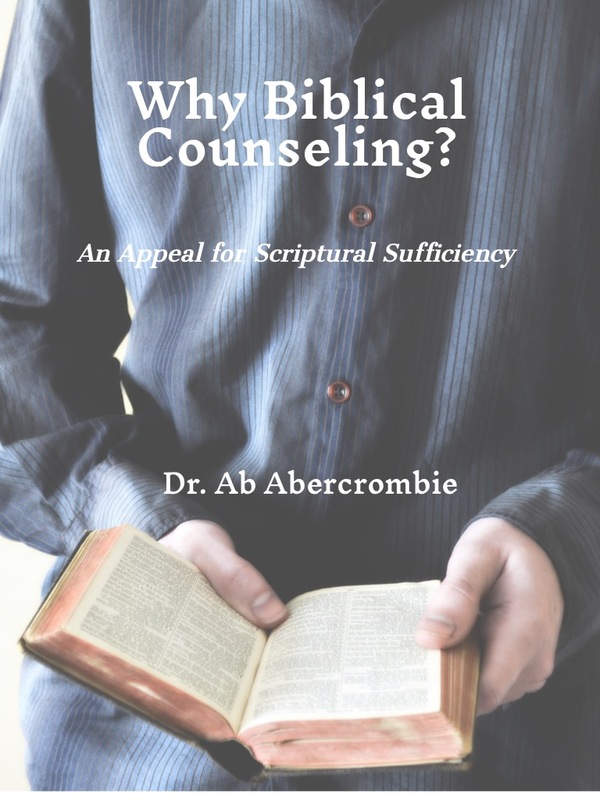 As the Founder of the Biblical Counseling Institute, Dr. Abercrombie speaks and teaches throughout the U.S. training pastors, lay leaders, and counseling professionals in the method and practice of biblical care and discipleship. He is an ordained Southern Baptist Minister and is licensed to practice counseling in both Florida and Alabama.